HOUSTON (AP) — With clay soil and tabletop-flat terrain, Houston has endured flooding for generations. 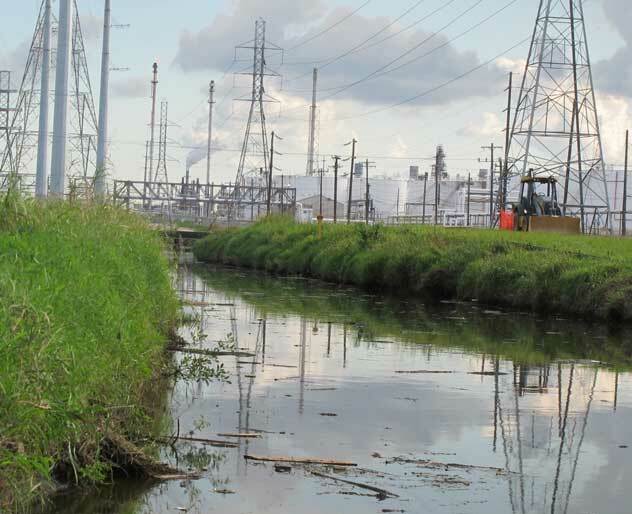 Its 1,700 miles of man-made channels struggle to dispatch storm runoff to the Gulf of Mexico. Now the nation’s fourth-largest city is being overwhelmed with more frequent and more destructive floods. The latest calamity occurred April 18, killing eight people and causing tens of millions of dollars in damage. The worsening floods aren’t simple acts of nature or just costly local concerns. Federal taxpayers get soaked too. Extreme downpours have doubled in frequency over the past three decades, climatologists say, in part because of global warming. The other main culprit is unrestrained development in the only major U.S. city without zoning rules. That combination means more pavement and deeper floodwaters. Critics blame cozy relations between developers and local leaders for inadequate flood-protection measures. 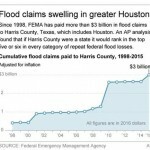 An Associated Press analysis of government data found that if Harris County, which includes Houston, were a state it would rank in the top five or six in every category of repeat federal flood losses — defined as any property with two or more losses in a 10-year period amounting to at least $1,000 each. 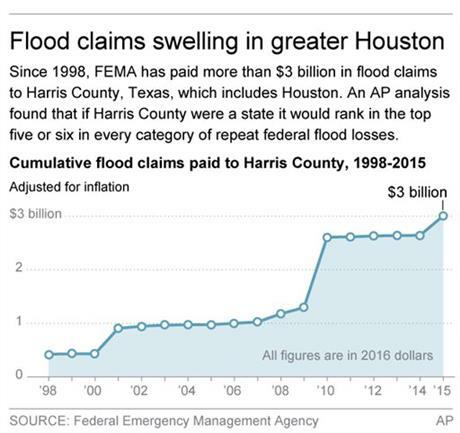 Since 1998, the Federal Emergency Management Agency has paid more than $3 billion in today’s dollars for flood losses in metropolitan Houston. While repeat federal flood relief payouts average about $3,000 per square mile nationally, they are nearly half a million dollars per square mile in metro Houston. Six of Texas’ eight federally declared disasters since December 2013 included floods.